Esther Barnett Goffinet, the daughter of fellow worker Eugene Barnett, will be speaking in Lewis County in August. Eugene Barnett witnessed the American Legion attack on and Wobbly defense of the IWW hall in Centralia, WA on 11 November 1919. Rather than allowing him to be a star witness for the defense, the prosecution attempted to judicially murder him by charging him with a key role in actions he took no personal part in- all because he refused to remain silent about the truth of what had happened. He was convicted of second-degree murder and did nearly 12 years in Walla Walla State Penitentiary as a class war prisoner. Esther has written an amazing book, Ripples of a Lie, detailing what happened to her father and how those events went on to impact her family and the families of the other men wrongly imprisoned in the aftermath of Armistice Day 1919. She will be speaking about her book and the Centralia Conspiracy at the Lewis County History Museum in Chehalis on August 12 at 6:00 p.m. and at the Centralia library at 2:00 p.m. on Saturday, August 13. Esther is the daughter of a class war prisoner from the height of anti-IWW oppression of the Palmer Raid era. The rest of her father’s life and her life to this day were strongly impacted by those events and we owe her a strong Wobbly turnout. I hope all of us can be there. 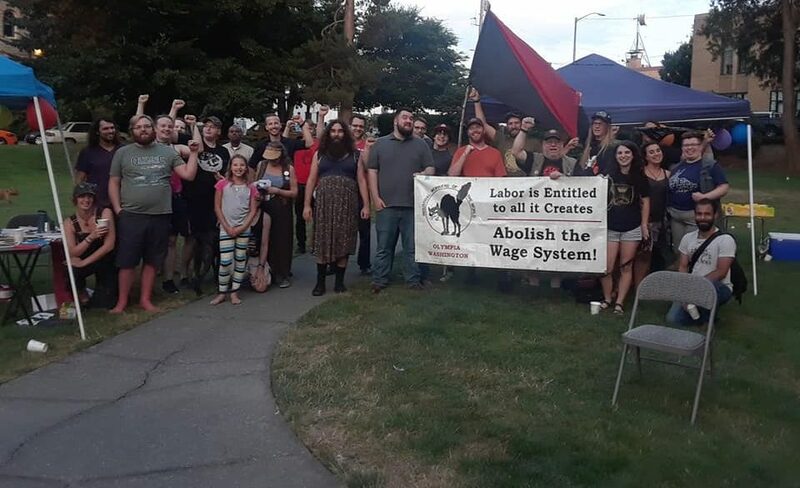 ← Welcome to the Olympia IWW Page!